The periodic table is a tabular arrangement of the chemical elements, arranged by atomic number. The columns and rows the periodic table is arranged into are meant to reflect recurring trends in the structure, electron configuration, and chemical properties of the elements. The periodic table is a visual representation of our knowledge of the basic constituents of ordinary matter, and how their behaviors are related to their nuclear and electron structure. The organization of the periodic table can be used to explain the similarities between elements in the same row or column and predict the properties of undiscovered elements. As of today, there are 118 unique chemical elements in the periodic table, 94 of which occur naturally on Earth. The remaining 24 are synthetic elements that have only been produced in the laboratory. At its most basic structure, elements in the periodic table are arranged sequentially according to increasing atomic number. The atomic number corresponds to the number of protons in an atom of that element. Hydrogen, for example, has an atomic number of 1 and so an atom of hydrogen has 1 proton. The number of protons determines the identity of the element, so each element’s atomic number is unique. Most elements have isotopes, atoms with differing amounts of neutrons. Isotopes are all classified under the same element according to proton number. Each square in the table belongs to a single element. In general, Each square is labeled with a unique atomic symbol, atomic number, and some information about the element such as its name and atomic weight. In other words, each square is like a summary of basic information about that element. Elements are arranged left to right sequential according to atomic number, and a new row is formed when the next element has electrons that fill a new subshell. The repeating structure arranges elements into rows and columns called periods and groups, respectively. In general, elements to the left have a larger atomic radius, weaker ionization energy, and a more metallic character. Elements to the right tend to have a higher electronegativity, smaller atomic radius, and higher ionization energy. This trend is a result of the sequential increase in protons and electrons in each next element. As atoms gain more protons, the nucleus of the atom pull stronger on the surrounding electrons, giving a smaller atomic radius. When electrons begin to inhabit a further electron shell, the trend repeats. The start of a new period signifies that atoms in that period are filling a different valence shell than those in the previous one. Trends across periods can be used to predict the properties of unknown elements. There are currently 7 distinct periods in the periodic table. Many of the elements in period 7 do not exist naturally and must be synthesized in the lab. 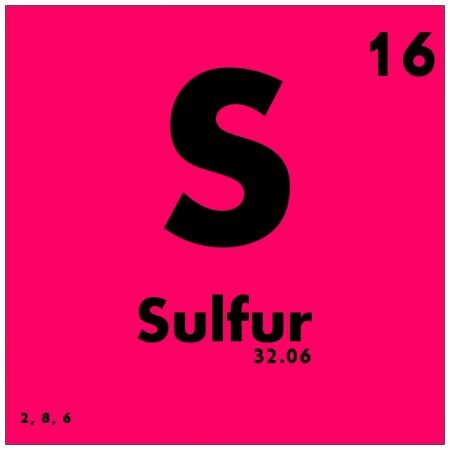 There are 18 groups in the periodic table (groups in the f-block do not count towards the total). Many groups have specific names like group 1 alkali metals and group 16 chalcogens. 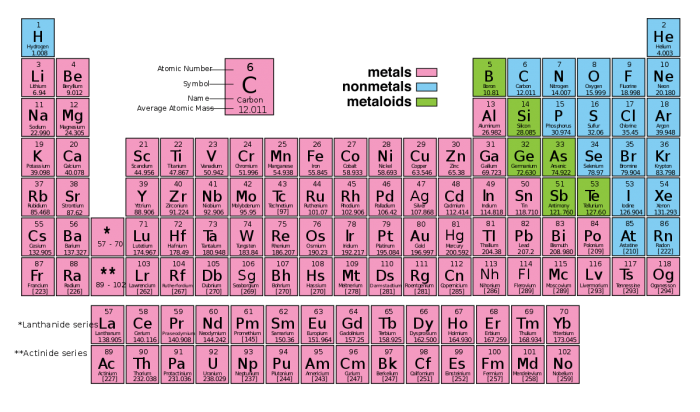 The group structure of the periodic table makes it possible to predict the chemical properties of unknown elements in the same group from the next period. In addition to the basic row/column arrangement of the periodic table, elements can also be group into distinct “blocks”, each corresponding to similarities in electron configuration. For example, elements in the p-block, the block on the rightmost side of the table, have valence electrons in their p-orbital subshells. The other blocks are named s, d, and f, in connection with their valence orbitals. Each block corresponds to the subshell that the last electron in the shell fills. The s block contains the group 1 alkali metals and group 2 alkali earth metals. 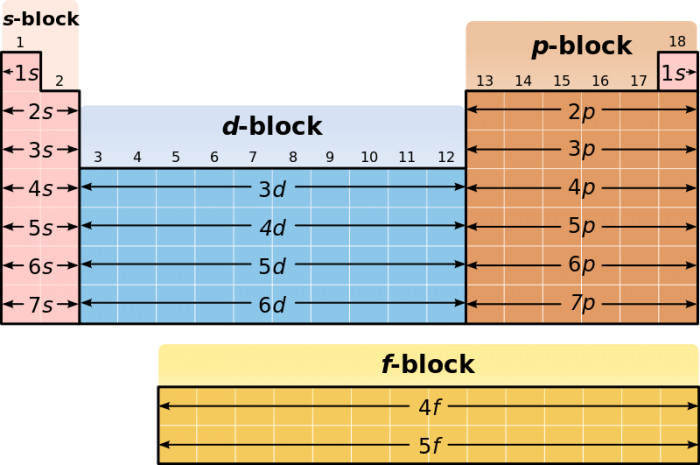 The d-block corresponds to the majority of transition metals and some semimetals, while the p-block corresponds to common elements like nitrogen, oxygen, carbon, and sulfur. The f-block elements correspond to the lanthanide and actinide series, two sequences of large nuclei elements, many of which are radioactive. Elements are often grouped under the classification of metals, non-metals, and metalloids, according to their chemical and physical properties. Metals, as the name would imply, are elements that are metallic in character. They tend to be ductile, malleable, conduct heat and electricity, have a shiny luster, form positive ions, and form metallic bonds with other metals. Most metals occur towards the left and downwards on the periodic table. 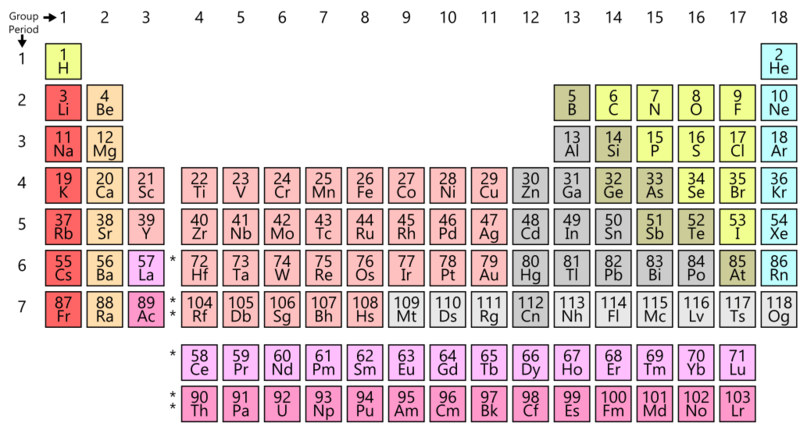 In fact, most of the elements on the periodic table are considered metals; 91 of the 118 known elements are classified as metals. Non-metals constitute the majority of remaining elements. Non-metals have a chalky texture and tend to be brittle, poor conductors of heat and electricity, have high electronegativities, and high ionization energies. Non-metals tend to form covalent or ionic bonds with both metals and other non-metals. The majority of common everyday elements like oxygen, carbon, nitrogen, phosphorus, and fluorine are non-metals. Metalloids occupy a strange middle ground between metals and non-metals. Metalloids have a metallic appearance and are decent conductors of electricity, but are brittle and not as malleable as metals. In general, metalloids have properties between metals and non-metals. The 6 commonly recognized metalloids are boron, silicon, germanium, arsenic, antimony, and tellurium. Sometimes chemists include selenium or aluminum as metalloids, depending on their purposes. The repeating structure of the periodic table outlines repeating trends in the physical and chemical properties of the elements. For instance, elements to the left of the table tend to have a more metallic character, while those to the right have a more non-metallic character. 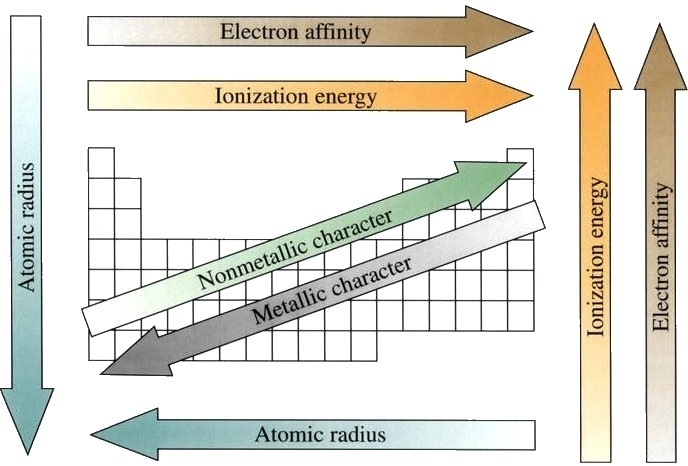 Elements to the right tend to have higher ionization energies and higher electronegativities. These repeating trends are due to the sequential increase in the size of the nucleus and the periodic way that atoms fill their electron shells. Knowledge of these trends can be used to predict the properties of unknown elements. The accuracy of the trends waiver, though, the higher one goes on the periodic table. All elements above plutonium (atomic no. 94) are synthetically produced and do not occur in nature. These synthetic elements can have surprising properties that go against trends in the table due to their massive atomic nuclei. Before the advent of modern chemistry, natural philosophers subscribed to an Aristotelian view of matter, one in which there are 4 basic elements: fire, water, earth, and air. It was thought that all objects of daily experience were combinations of these 4 basic elements in varying proportions. Although the specifics were incorrect, the Aristotelian theory got one important concept correct; all matter is composed of underlying entities existing in distinct proportions to each other. During antiquity, naturalists discovered many distinct elements, like mercury and phosphorus, but were ignorant of their true chemical nature. It was not until the 18 century that Antoine Lavoisier introduced the modern understanding of chemical elements as fundamental kinds of substances that play a role in chemical reactions. Lavoisier’s initial identification of elements included many that are accepted today, like oxygen, hydrogen mercury, sulfur, and zinc. The periodic table as we understand it today was first given its form by Russian chemist Dmitri Mendeleev in 1869. Mendeleev had the brilliant insight to arrange the known elements by atomic weight, creating a new row every time the observed chemical properties began to repeat. Mendeleev also left “blank” spaces in his table for elements that had not been discovered yet. Mendeleev’s methodical organization schema allowed him to predict the properties of then-undiscovered elements, even though he lacked any knowledge of their underlying atomic structure. By simply observing the repeating observable properties of the elements, he created an organization schema that was later vindicated and explained by the advent of modern atomic theory and the discovery of protons, electrons, and neutrons. 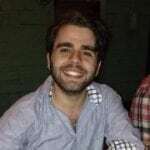 Previous Post« Previous What Causes Bed Bugs?